If you have been following my gardening posts, you will know that my garden has changed quite a bit since this post was first scheduled! I was given the keys to my current home back in September 2010 – an incredibly JOYful day! The garden (seen above) was a blank canvas, and pretty soon I had a plan in place for a system of raised beds and gravel paths, a pond, several seating areas and a screen to camouflage my bins and oil tank. I hate cutting grass, so my garden was designed to be grass free! In 2007, I worked in the gardens of Glenveagh Castle as part of my Organic Horticulture work experience. I was very blessed to attend the launch of the Donegal Garden Trail, http://www.donegalgardentrail.com and I decided there and then, that one day I would have a garden in the trail too. In July 2012, my wish came true and I opened my garden to the public for three summers in all – the proceeds going to my favourite animal charities. You might wonder how I managed to achieve so much in such a short space of time. The truth is I had a lot of help! Accepting help and support has been one of my major life lessons. The raised beds were built, top soil was delivered and spread, gravel paths were laid and screening built by a big, strong man – my days of heavy digging are over! My spirit has been renewed. I love to potter gently in my garden these days and simply watch the daisies. Absolutely beautiful! what a lot of work! i am so impressed! Thank you. There was a lot to do in the beginning but now the plants have multiplied it is pretty easy maintenance! Stunningly beautiful. Our new patio is still bare. With the addition of a matching ramp, I have a place to put planters along the edge and tend the flowers whilst sitting in my wheelchair on the ramp. It will never look like that, but you have given me inspiration and ideas. Thank you for sharing! Yes, raised beds are great for wheelies! At our former house I had high pots on the screened patio, but cleaning the dirt was hard. On our new patio I’ll be able to hose any dirt right off. There is such joy in gardens. I love wild flowers, and your garden appears to have many. It looks swell, as I suspect many of your visitors have told you. I love the many colors in your garden. I imagine the flowers smell gorgeous. Very well appointed! Me too. Using our visual sense is a very powerful way to keep our energy high. I love gardening too 🌱🌱 awesome photos ! Thank you. It is a truly healing past time for me. Thank you – I love seeing before and after pictures. I love TV makeover shows. Thank you Nikki – it is my therapy and I am going out in a few minutes as the sun is out! Thank you so much Nina. I really appreciate your nomination. 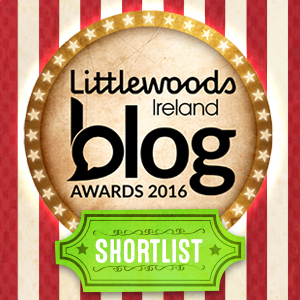 Unfortunately, I have turned down several awards so far because I do not want to choose between my lovely blog friends. So I shall have to decline. Congratulations on your award – it is so very well deserved. Oh, that’s a sweet reason to turn down an award ☺…it’s okay. Just know that your blog is a ray of sunshine! 😊…and thank you for the compliment! Thank you Nina. Smiles back. Thank you Nicky – its great to get lovely comments. You have created so much beauty on so many different platforms. This is just one gorgeous example of that. Thank you so much Bernadette. I really appreciate your feedback. Yes it does have the power of Healing. I would be lost without mine. Have a great day. The garden here means so much to me as I was renting for a good long time before I got my forever home. I had the garden layout planned before I got the keys! Thank you for the “like” on Roberta’s lovely blog! I’m glad I stopped by to spend some time looking at your beautiful garden and come away with thoughts on self-healing as well. Thank you. Its lovely to get nice comments. Have a great weekend. You are so welcome! I find I treasure each comment I get and it’s a joy to leave them as well. Nature is incredibly healing – I would be lost without my garden. Happy gardening to you! Thank you for your lovely comments. I enjoy a lot of Nature’s visitors here too. Will check out your garden. Best wishes. Lovely garden, and accepting help from others is not easy, but there comes a time when we have to. I love gardens and miss them so. You have a marvelous creation. Thank you. I am accepting help more and more now and others see me differently as a result. Blessings. A lesson many of us have . Allowing others or better placed people to help. Thank you Diane. I have covered them with lots of lovely climbing plants and a couple of lovely wood carvings from Bali. Its always good to go “easy maintenance”. Happy gardening. This is a magnificent post. I’m just getting into gardening, and it’s like a blessing for my Soul. I love how you learned to ask for help. (and to receive it) It’s also a lesson for me, and I am grateful for your sharing! You go!! Happy gardening Debbie. I find it really keeps me grounded and I forget life’s day to day issues… Blessings to you too Debbie. How beautiful! You are quite an inspiration!! I too love trees and loved that first quote. You have much to be proud of. Thank you. I would be lost without Nature. Thank you. Its lovely to get such kind comments. Gorgeous garden! Gardening has helped me manage my rapid cycling bipolar disorder. I have a modest plot in a community garden (I rent, no back yard). I garden vegetables though. Do you also plant veggies or just flowers? I had to Google ‘polytunnel’ as I’m more familiar with the term coldframe. We don’t have a problem with snails here. Our problem is with squirrels, groundhogs and rabbits munching on our veggies. The one veggie they didn’t seem too fond of was Chinese Bok Choy, haha. 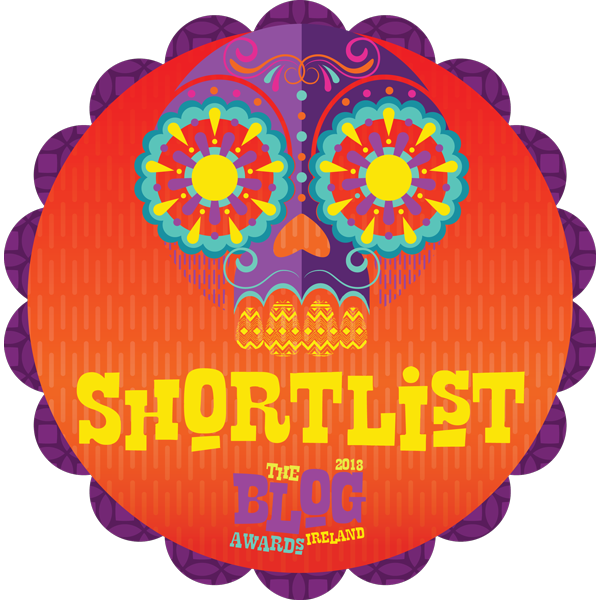 Hi Brigid, I love your blog and I recently nominated you for the Sunshine Blogger Award. It may take time to go through the process, but there is no obligation. Feel free to accept or decline. If you would like to view, accept, and participate in the nomination, check out this link on my blog: https://thewersofblessing.wordpress.com/2016/09/25/sunshine-blogger-award. Hi Brigid, the above link doesn’t work too well, please just go to https://theshowersofblessing.wordpress.com/ and check out the Sunshine Blogger Award post to see the instruction. Thank you. Hi Brigid, if you do accept the nomination and select your nominees, please notify them. Thank you! Thank you – it is my therapy! Lovely, your garden is truly inspirational, thank you for sharing! Thank you for your kind comments. You might enjoy my Flowers In Bloom posts which I did over spring and summer. Brigid you have such a beautiful garden I love the informal cottage garden style with swathes of vibrant colour… I think I have the same day lily. It is amazing when you compare your March garden to the summer garden.. where does all this life come from! Every day now brings us that little bit nearer to those summer days again. I don’t know about you but I am getting no writing done as for the past few weeks I have been in the garden tidying up or potting on. You are absolutely right Gardening heals the soul. Paul I could not comment on your posts. There is no comment available. I just finished reading Sam and loved it. Sally is such a gem so writing a review and a wee shout out is near the top of this week’s list. Wow, what a transformation. Your garden is breathtaking! Are you kidding me! That is amazing and so beautiful!!!! What a fantastic job! Agreed Brigid one of the great parts of Natural Healing is gardening it returns the love it is given. You have an amazing garden . Stunning. Thank you so much. It is hard to believe how much healing I have gotten from this garden. I can really believe it so much love being generated. You always have some of the most beautiful pictures and some of the sweetest words. I’m never failed to be amazed by all your achievements and impressed by what you’ve managed to accomplish! As always, thank you so much for sharing and being such an inspiration. Bless you. I just love taking photographs of Nature and it gives me such pleasure to share them. Beautiful garden Brigid! I am so jealous as I love the look of beautiful gardens, I just can’t seem to find the energy to care for mine consistently. I am very lucky to have my Mum, who comes and helps out a lot 🙂 I love just being outside, it makes me feel so much better and even energised. Hard to believe you created this from what was once a blank canvas. Marvelous, joyful and therapeutic! Thank you. I have to pinch myself too. I remember the day I first saw the blank canvas. I had plans laid out for my future garden before I did anything with the house! WOW! I couldn’t believe that the first photo was actually your garden Daisies! Such an incredible amount of sheer hard work, in such a short time, and you’ve now got something that you can be rightly proud of. I love it. Well done you clever thing … and a big thanks goes to all those who helped you to get this amazing result. Brigid, you are such a wonderful inspiration -REALLY. You have created a beautiful garden. Thank you for your inspiration always. What an amazing and beautiful transformation! U know Brigid u too r an incredible person inspiring all of us with your fantastic gardens and I adored the quote. It is so true dear. Awesome garden. Yes great therapy and from whom to learn but nature Brigid your whole attention is there only. Welcome dear. The quote is so wonderful! Thanks for sharing this healing story with us! What a huge accomplishment! I agree, gardening is healing.